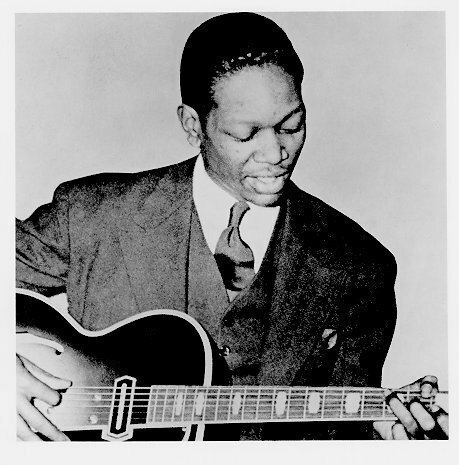 Charlie Christians solos may have been evolving more than usual during the last couple of months. The airchecks recorded with the sextet seem to contain unexpected sequences more often than before. His phrasing was especially unpredictable at times, as on Rose Room broadcast earlier in the month and this version of Stompin at the Savoy which was also recorded on a Monte Proser Dance Carnival program. 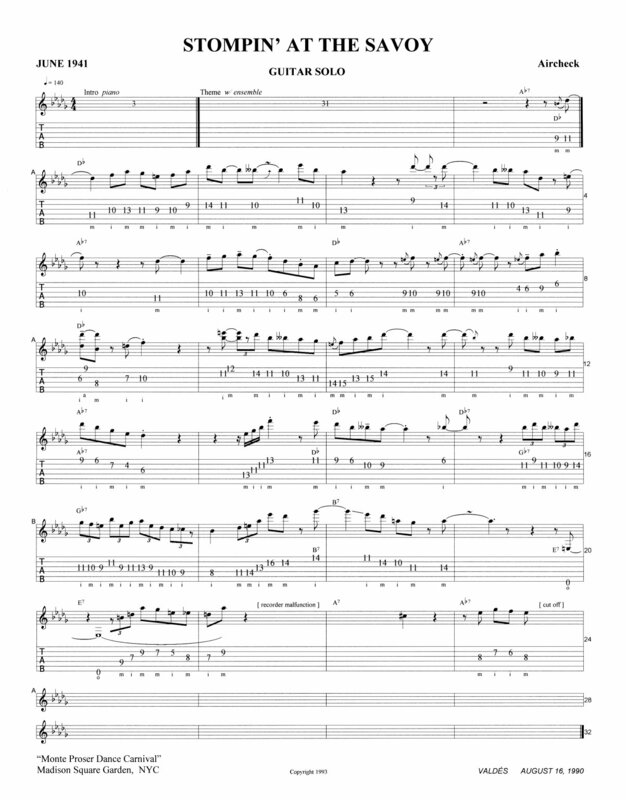 The phrasing in the first motif on the first two bars, in particular, sounds to be a bit different than beforeit seems kind of up-side-down from how he would usually play. But, without a few additional recordings from this period, its difficult to say for sure. Then theres the D♭, B♭, B♭♭, A♭ sequence the he used less than once per chorus on other versions of this tune. Here it appears five times (not counting the variation at bar 2) within the first half of the chorus, in mm 4, 10, 12, 15, and 16. That four-note sequence is in five of the 16 bars. Never heard anything like that from him before. Theres also the possibility that Charles deteriorating health was affecting him. He barely makes the sliding octaves at bar 9 and he apparently flubs the last part of bar 13. Never heard anything like that from him before either. But his imaginative creativity never flagged here nor at any other time. As on three of his four previous solos on Stompin at the Savoy, he hits an open-E string while he solos over it. CC hits that open-E string five times on the five known recorded versions of this tune on which he solostwice on 8 May and none on the Lips Flips renditionall of which were recorded between February and June of 1941. 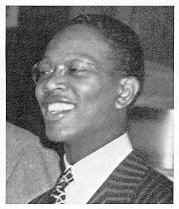 A few beats later the recording machine goes haywire and what may have been the last recording in Charlie Christians abbreviated lifetime abruptly ends.